In the morning we leave for Kandy. On the way, we will make a stop at one of the more unusual temples buried in a maze – the UNESCO Golden Cave Temple in Dambulla. Further you will see a batic factory and a spice garden and colourful Hindu temple in Matale. Shortly afterwards you will arrive in spiritual Kandy, surrounded by greenery and the great Mahaweli River. Kandy is also well known as the centre of Buddhism. There we will see the Temple of the Tooth Relic and in the evening a cultural dance performance. Dinner and overnight in a hotel in Kandy. After breakfast visit Peradeniya Botanical garden and leave then for Nuwara Eliya. Welcome to Nuwara Eliya, Sri Lanka’s tea growing centre. During the drive relish the endless views of tea carpeted valleys and the bright flash of female “tea pluckers” in their pimento, fuchsia and cerise saris. 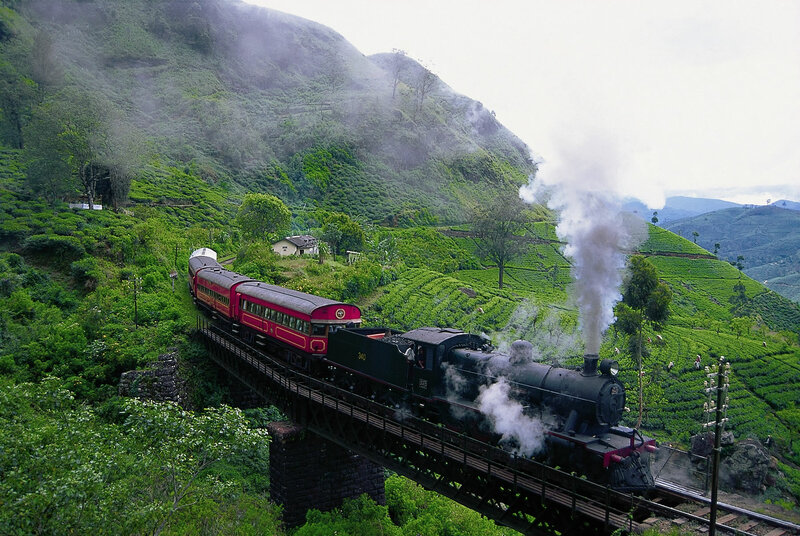 En-route to Nuwara Eliya visit the famous Ramboda waterfall, a tea plantation and a working tea factory. Enjoy a guided stroll of Nuwara Eliya town, pass the 18-hole golf course, the colonial member’s only Hill Club and English styled country homes. Dinner and overnight in hotel in Nuwara Eliya.